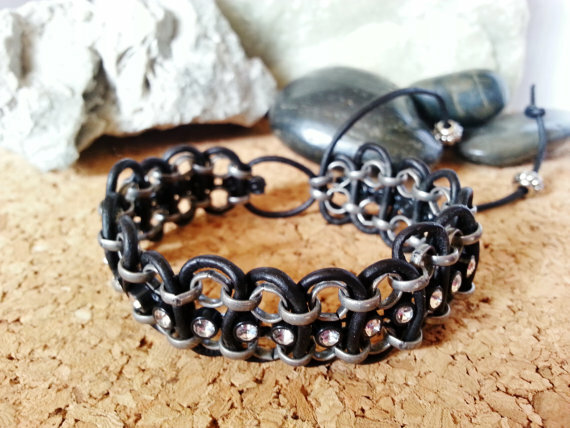 This black leather bracelet was hard to photograph. 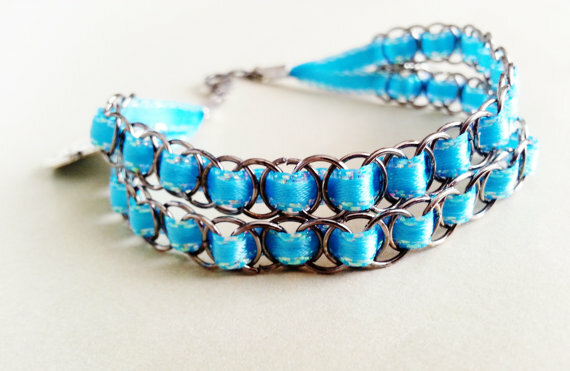 When I look at its pictures it looks like it’s lacking, but put it on and wow, it’s so pretty! 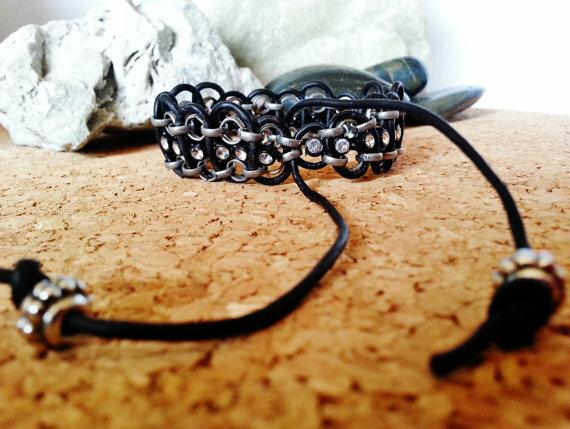 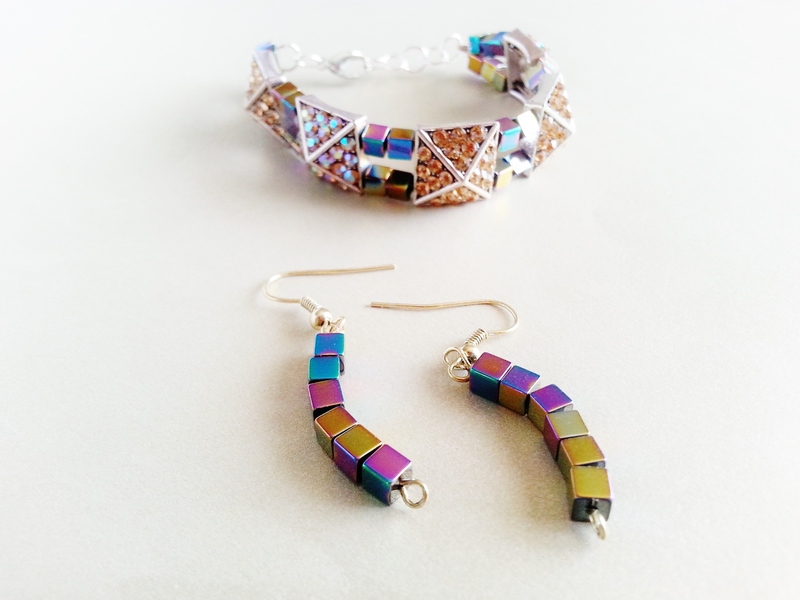 This unique combination of leather, silver rolo chain, and rhinestones works. 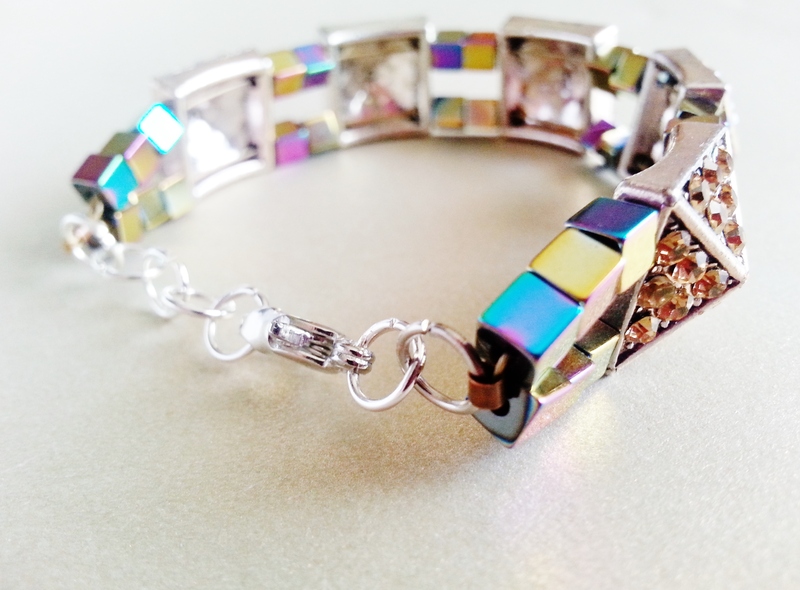 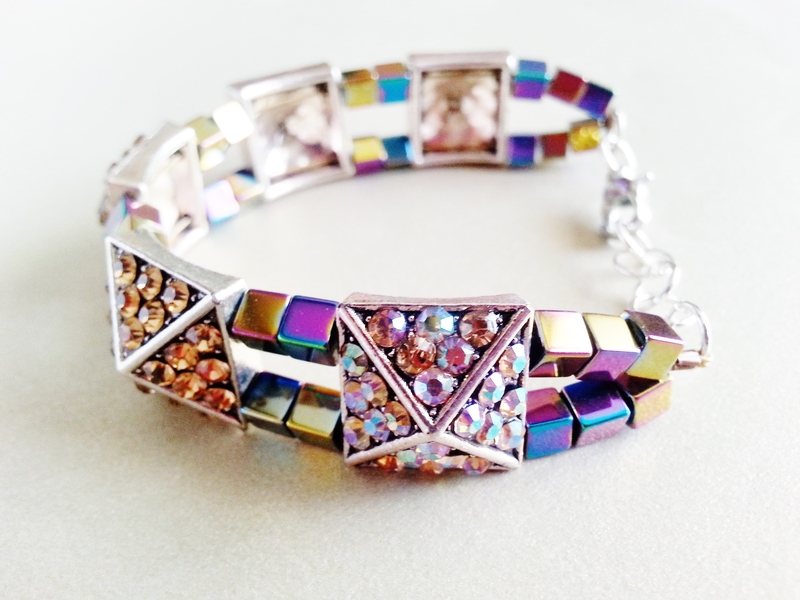 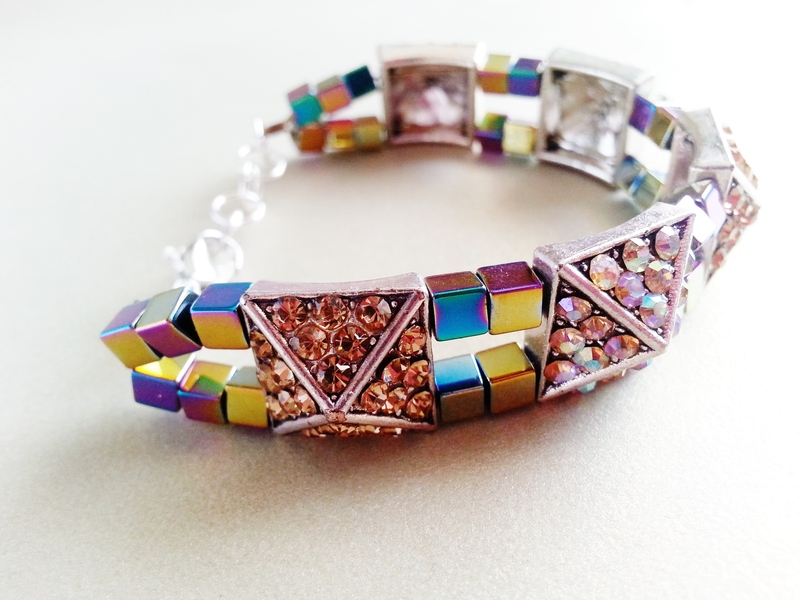 It’s an industrial cuff style bracelet with bling, that is very adjustable and comfortable. 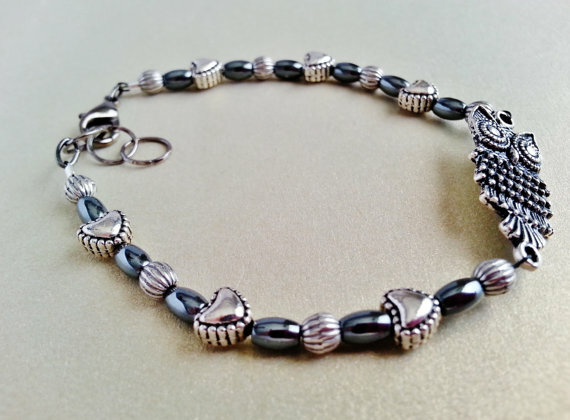 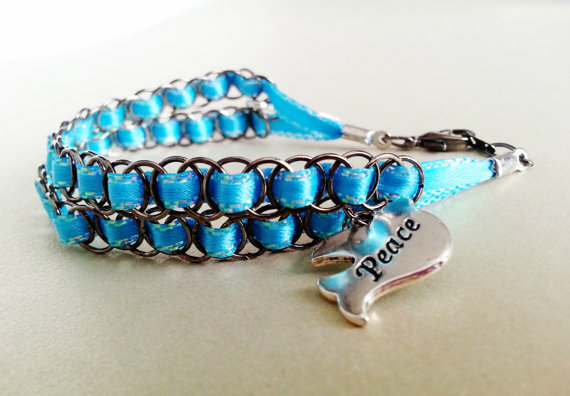 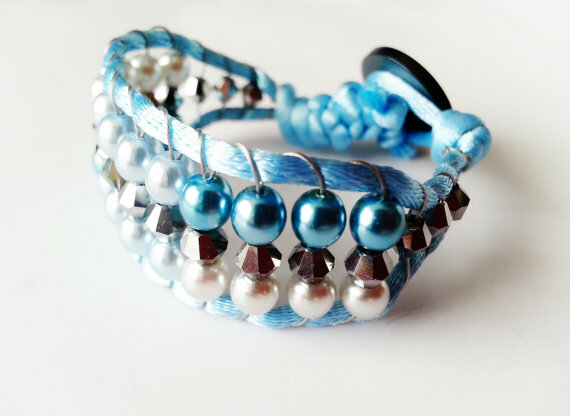 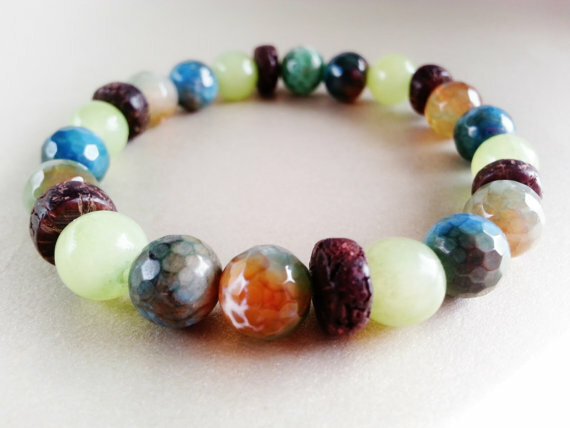 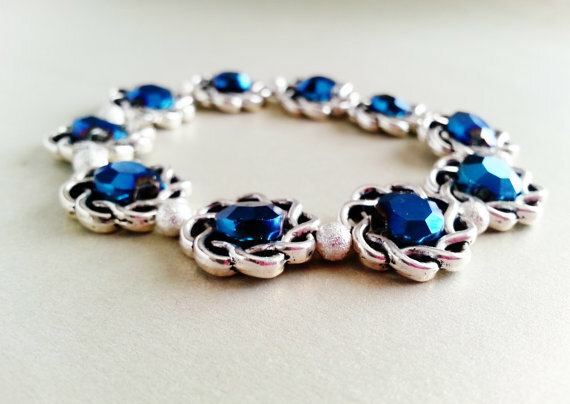 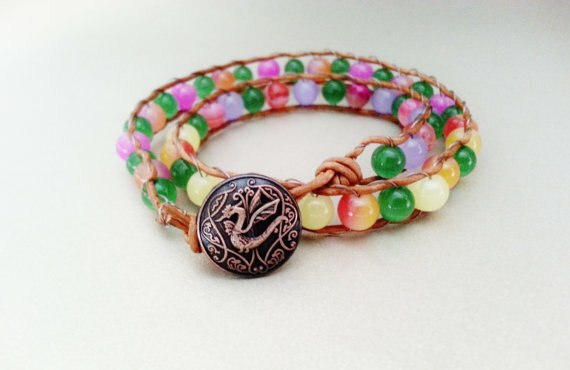 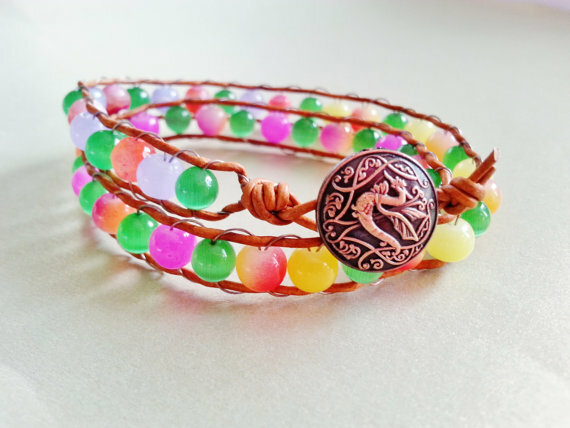 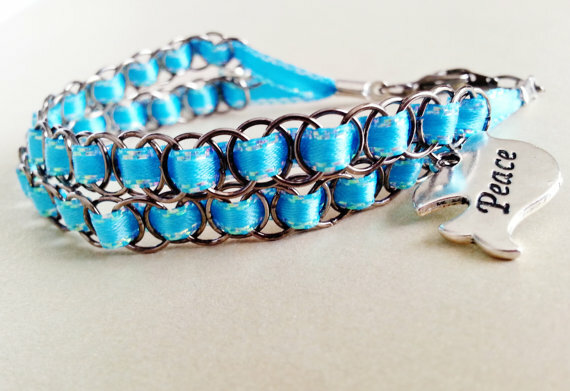 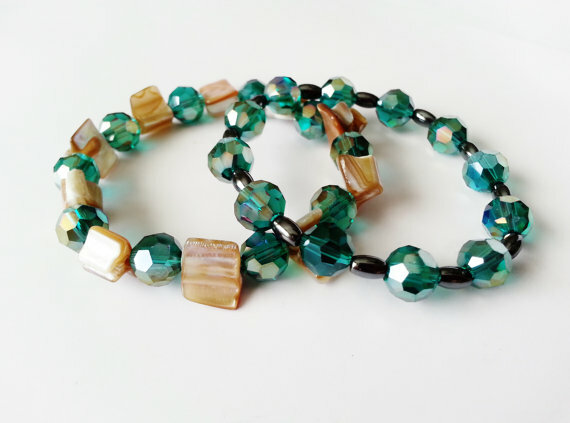 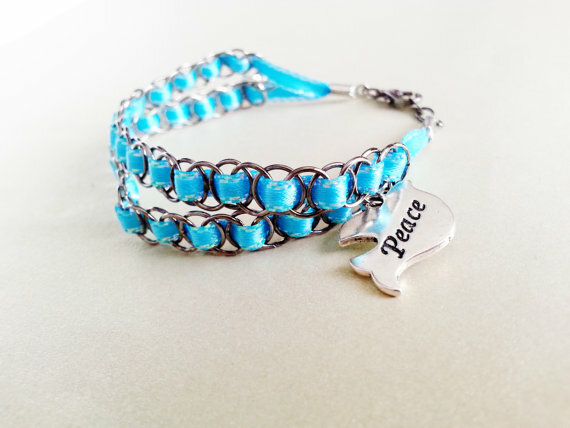 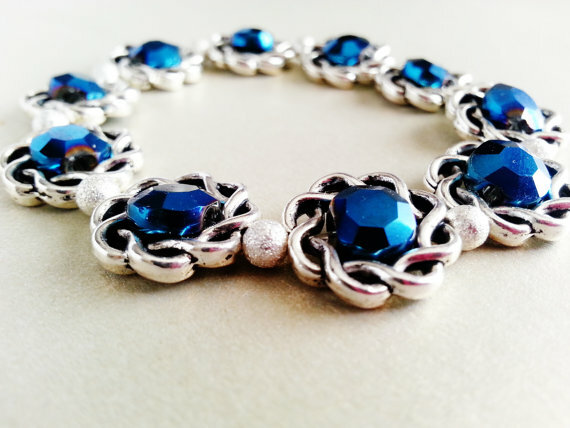 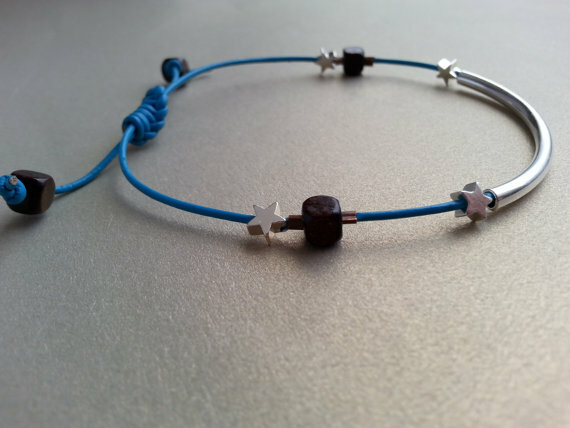 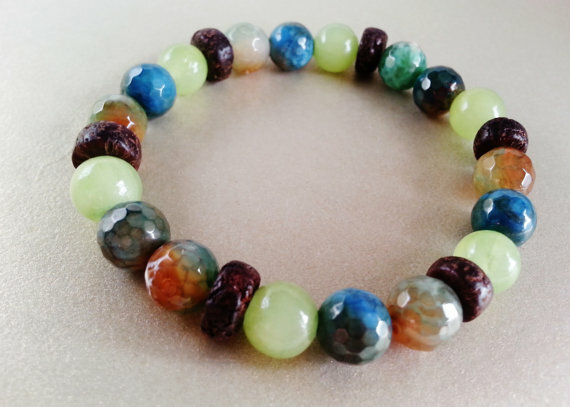 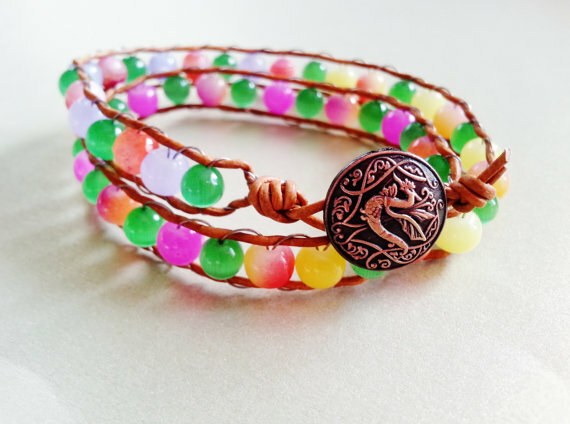 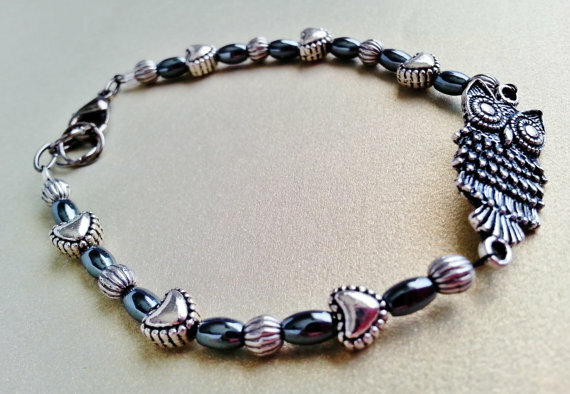 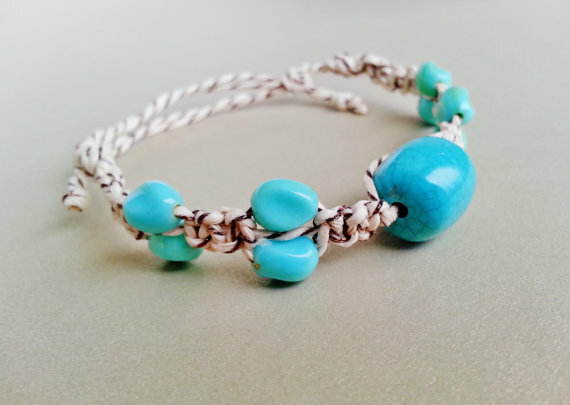 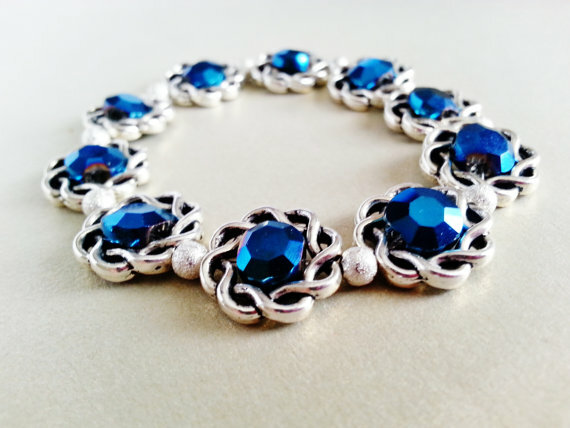 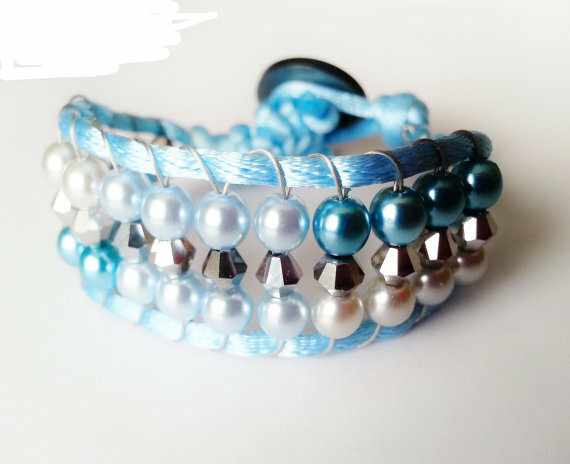 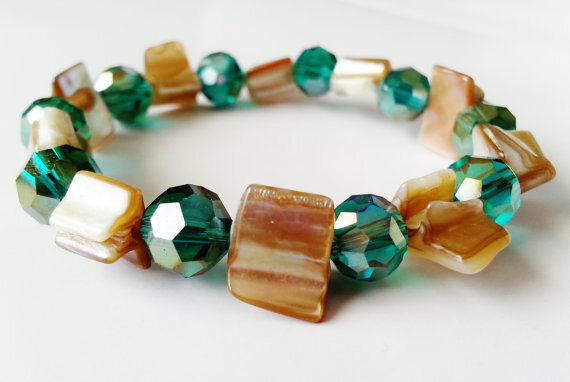 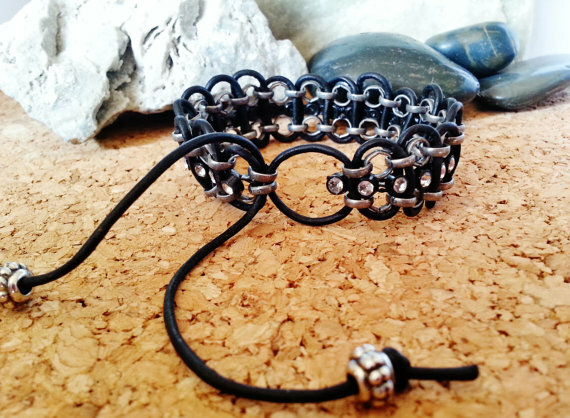 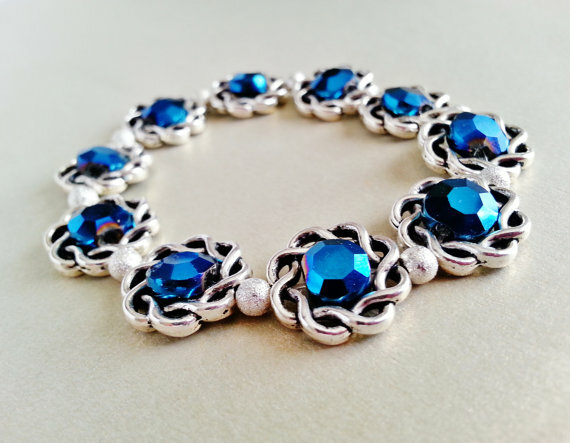 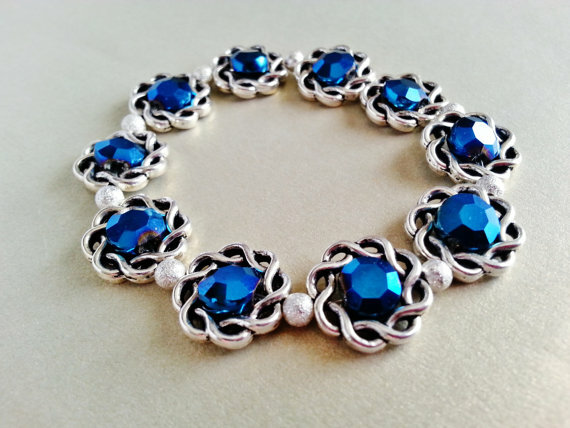 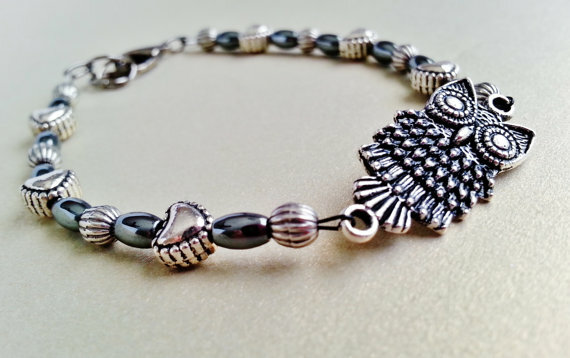 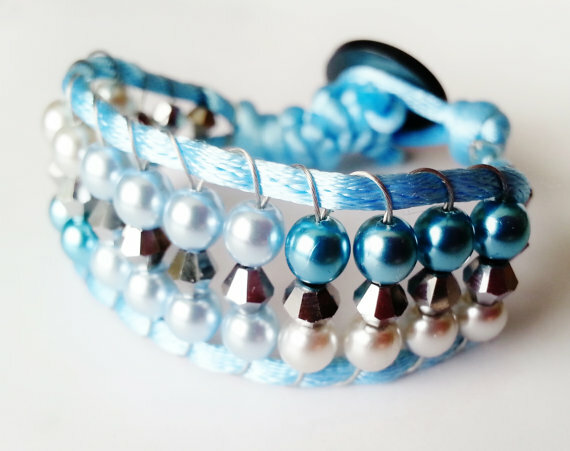 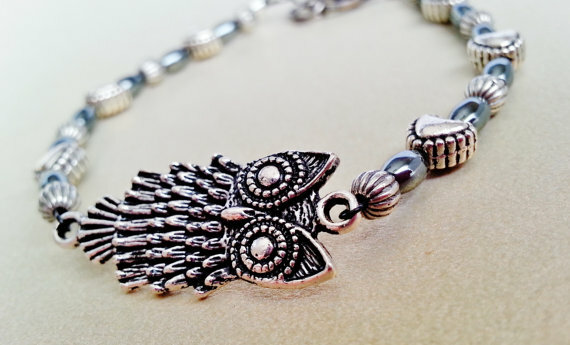 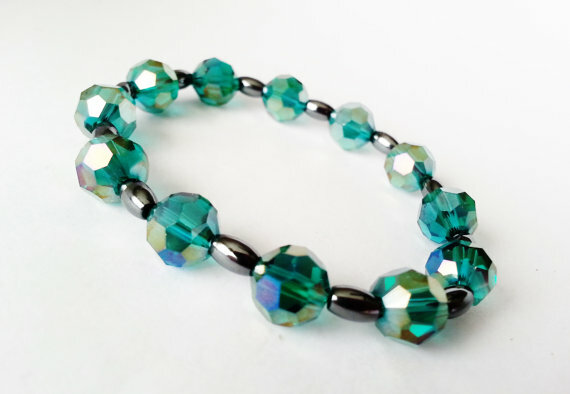 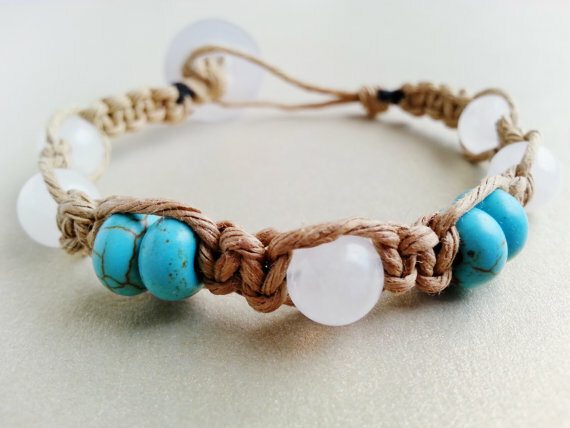 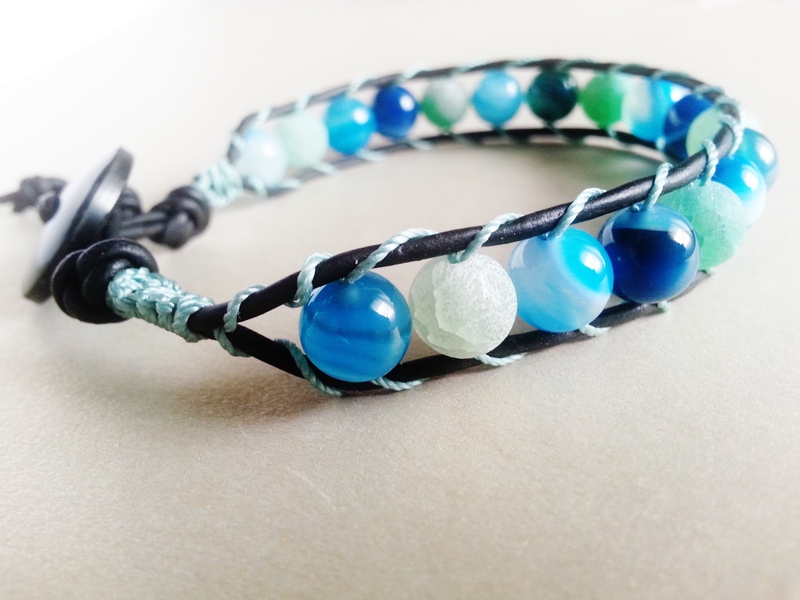 This bracelet easily slips over the hand then with a quick pull to the two tails, it becomes a perfect fit. 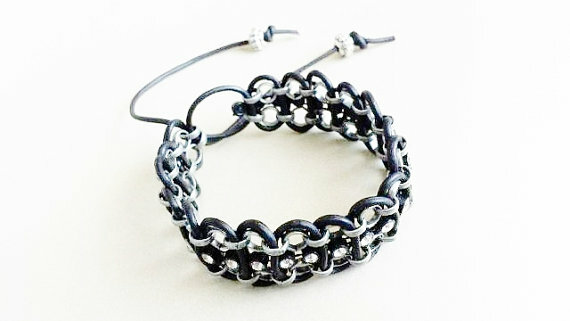 Recommended wrist size would be 5″ (smallest it will go) up to 8 1/4″. 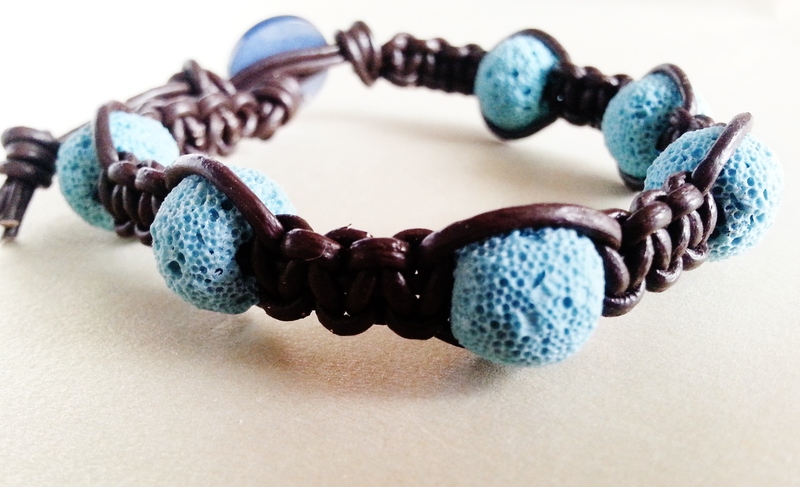 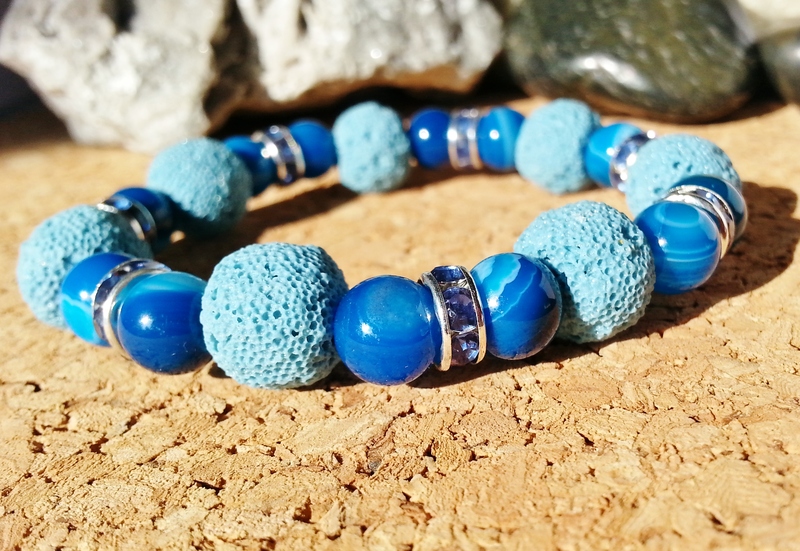 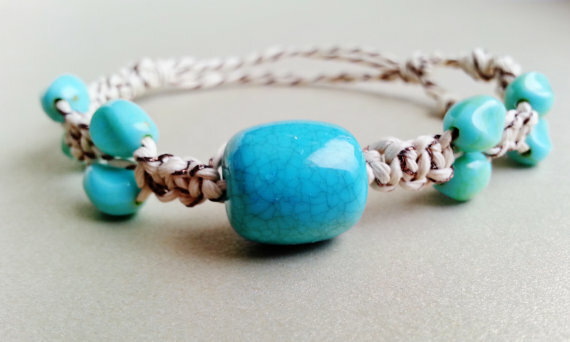 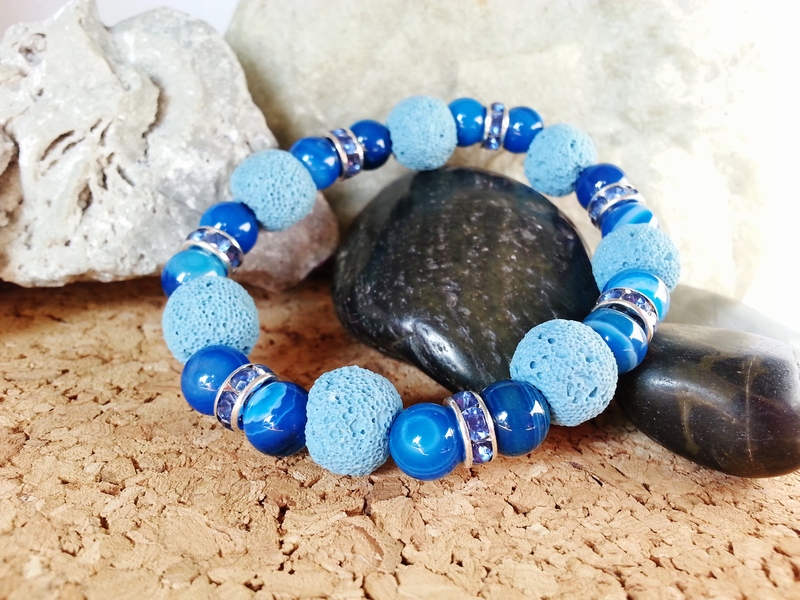 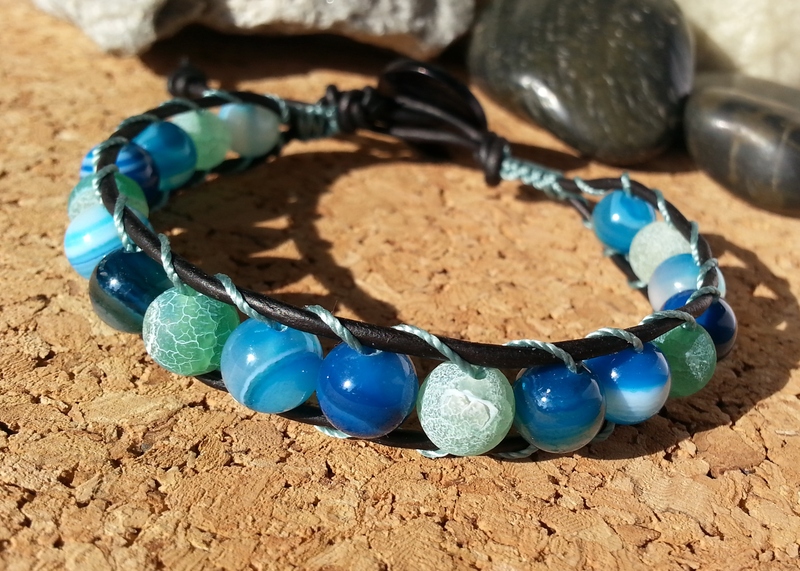 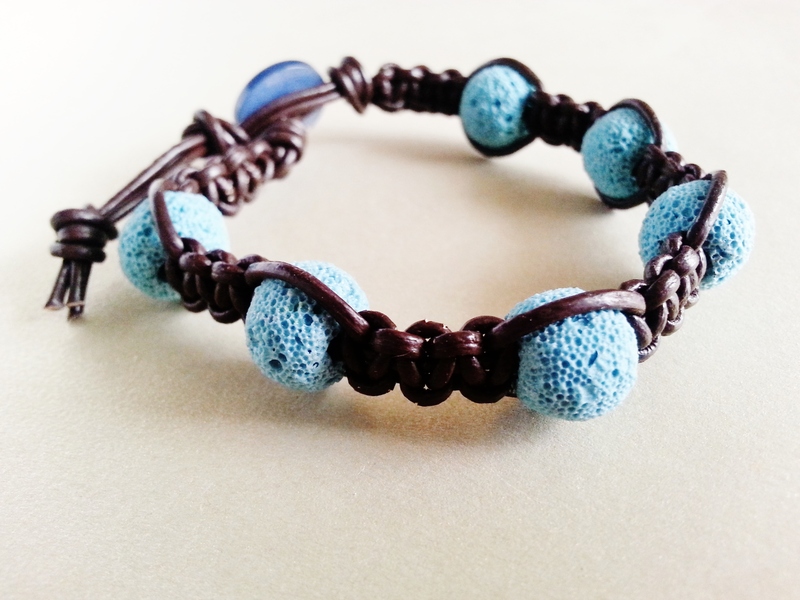 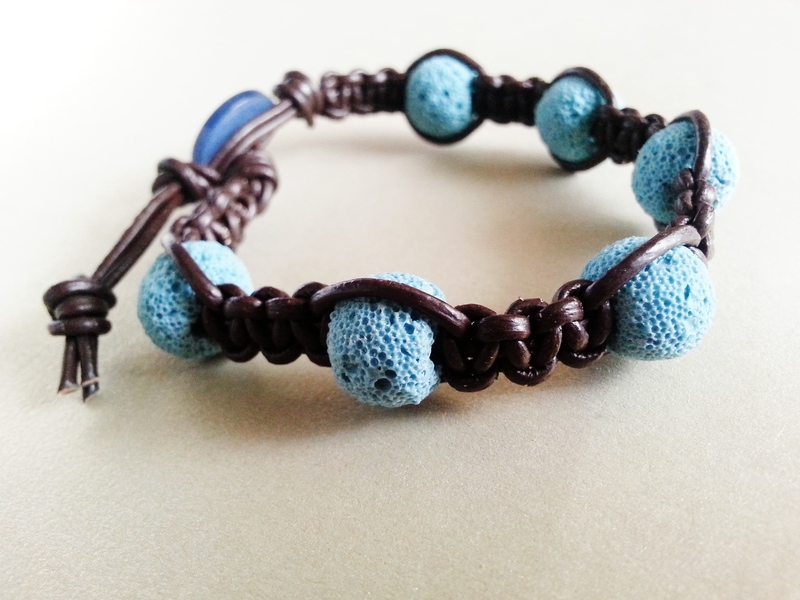 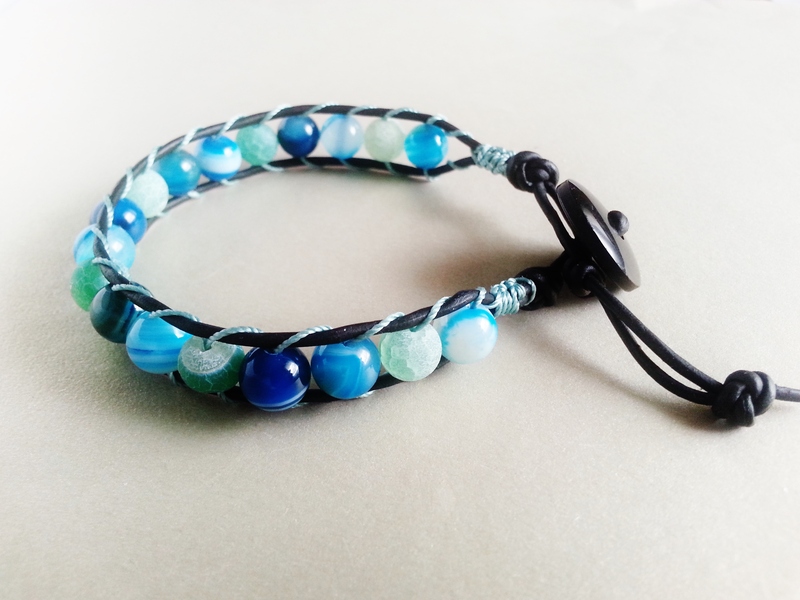 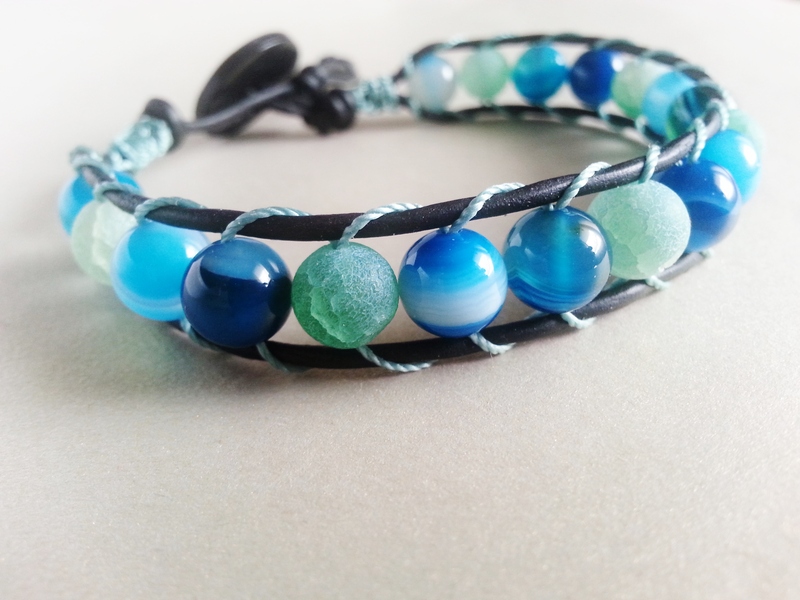 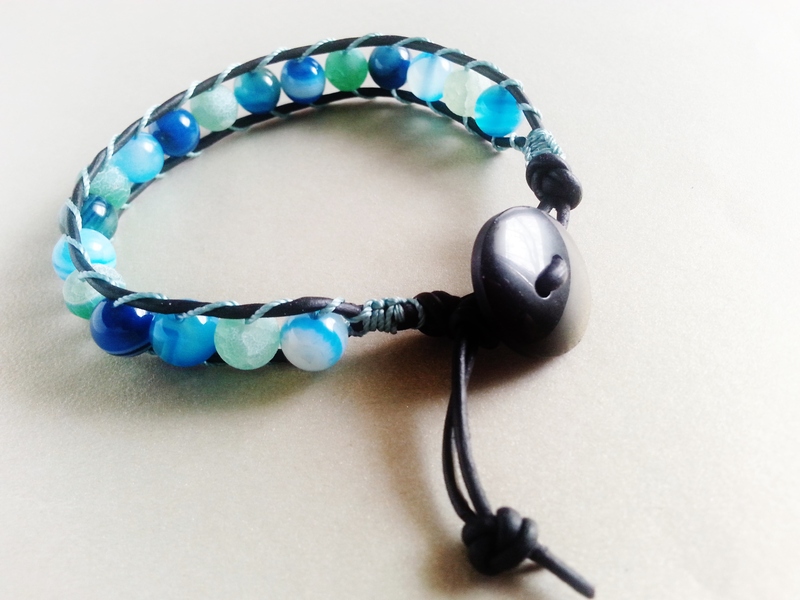 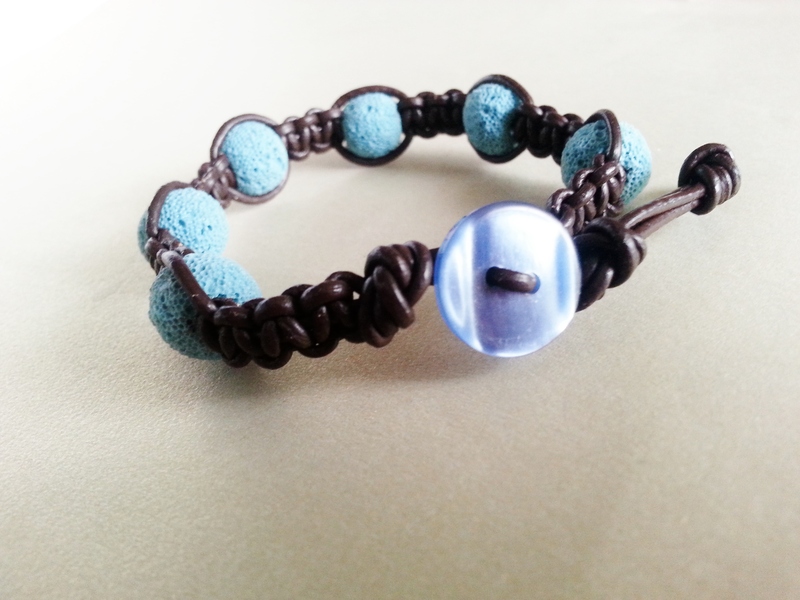 I used S-lon bead cord in the color of Vintage Jade to wrap the blue Agate gemstones on the black leather and create this stylish unisex bracelet. 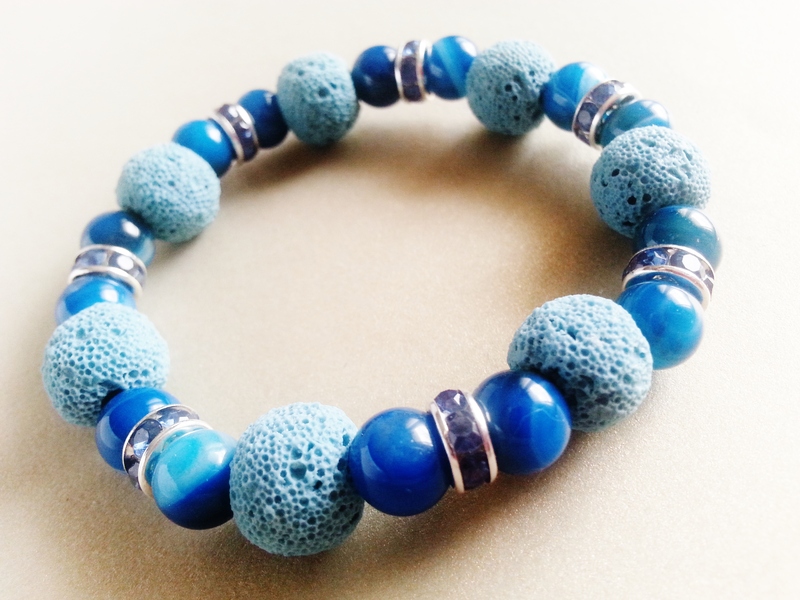 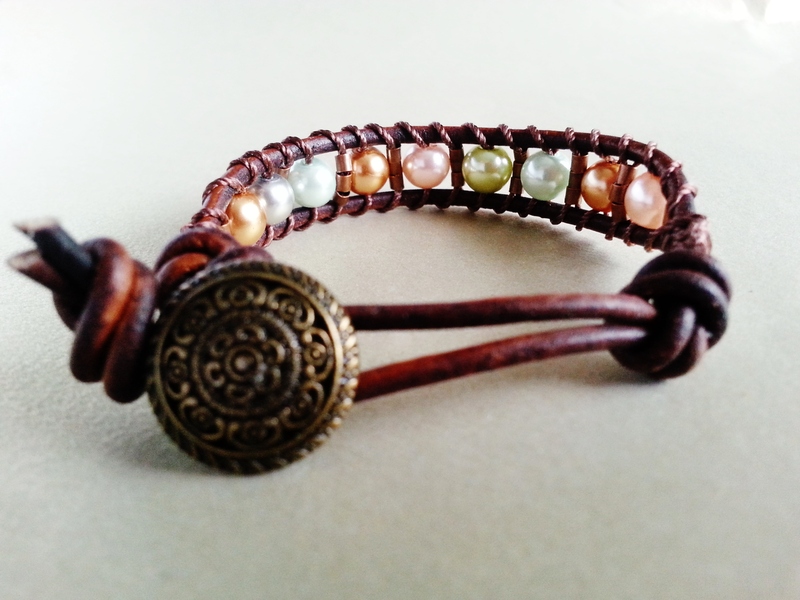 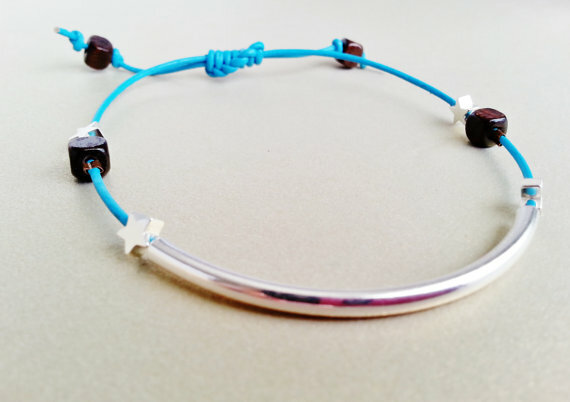 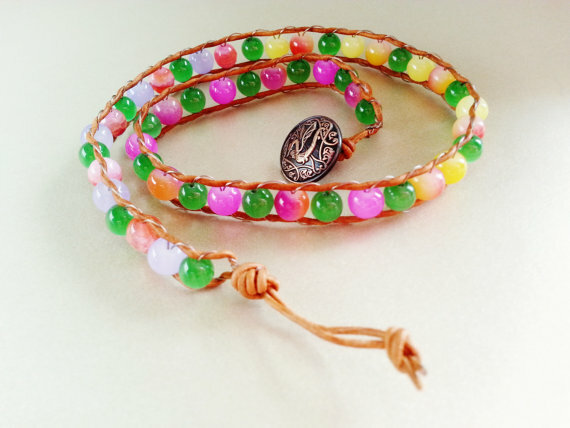 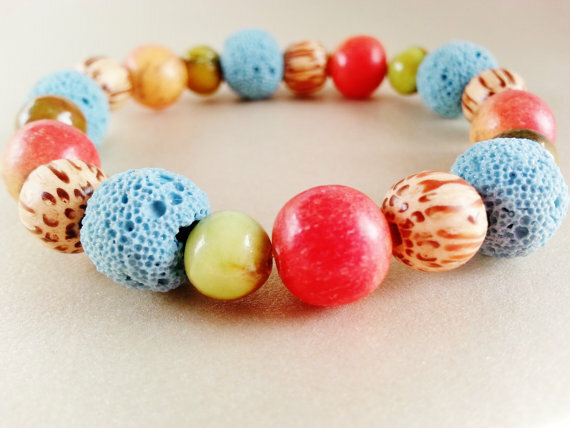 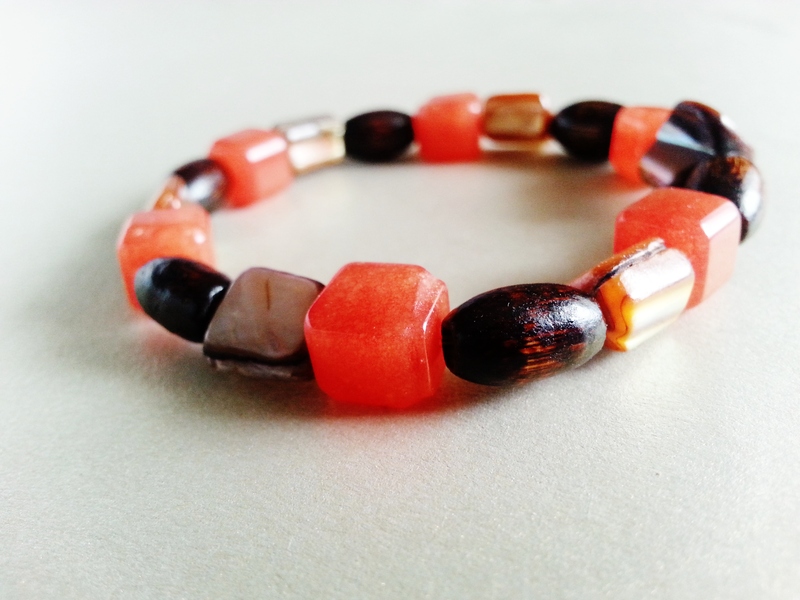 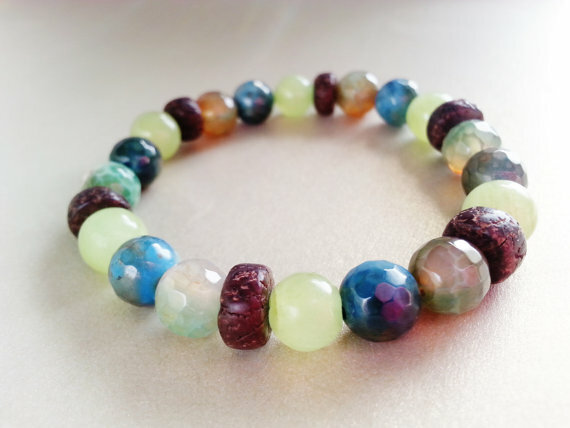 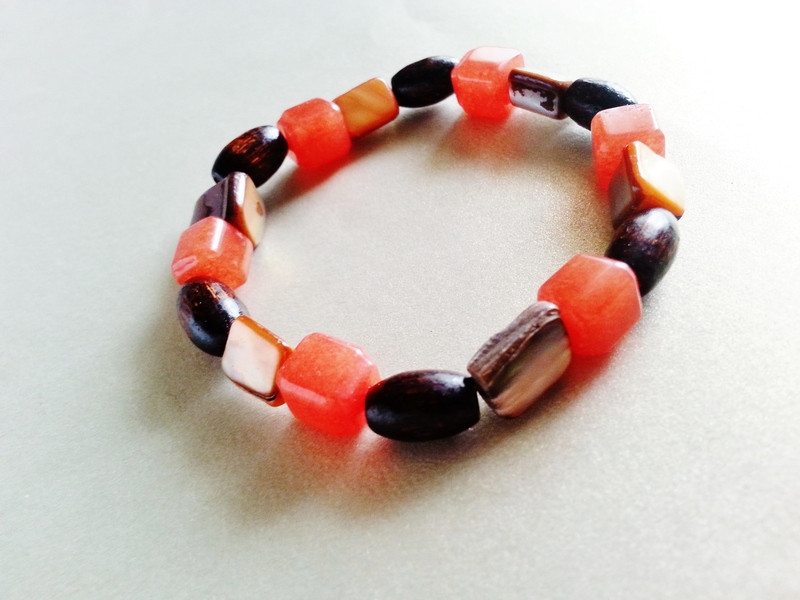 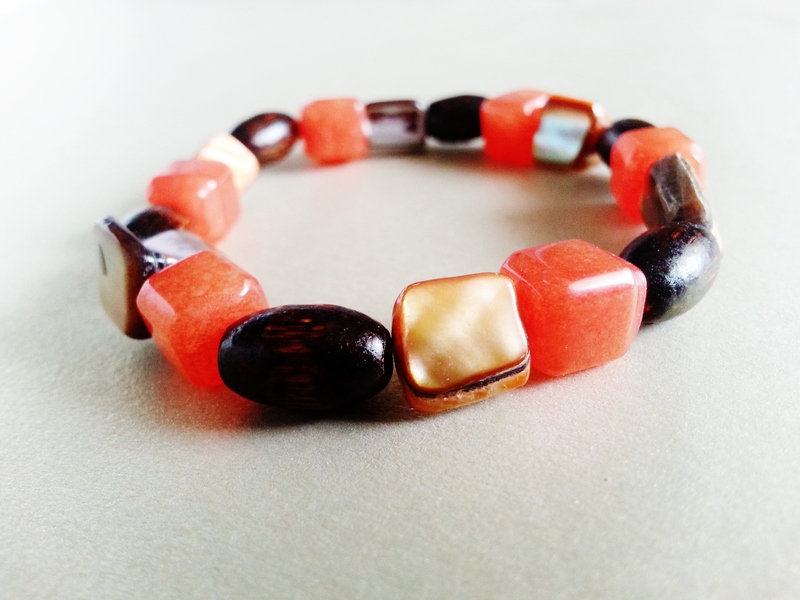 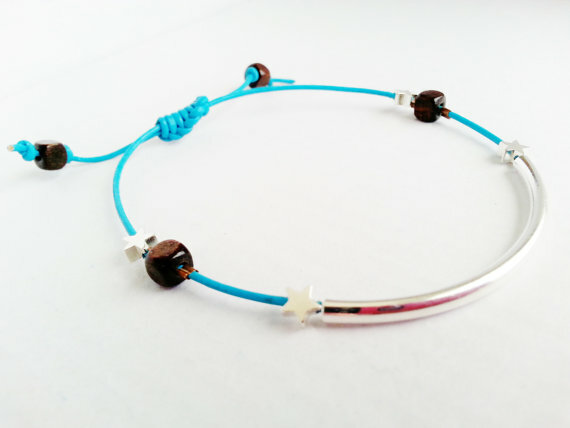 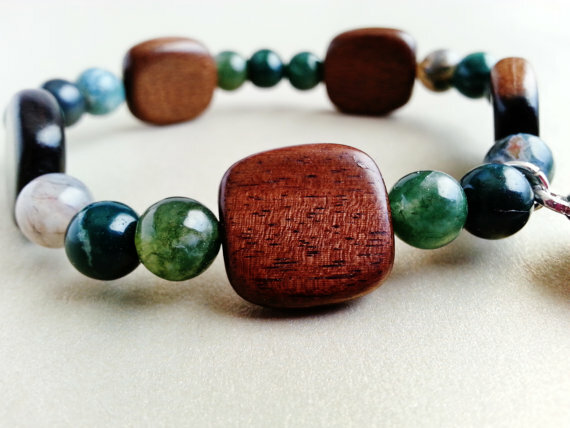 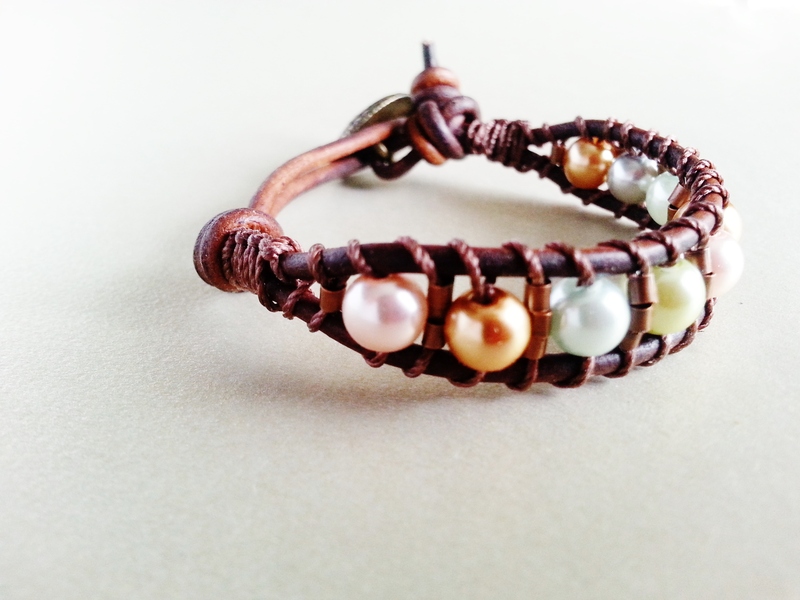 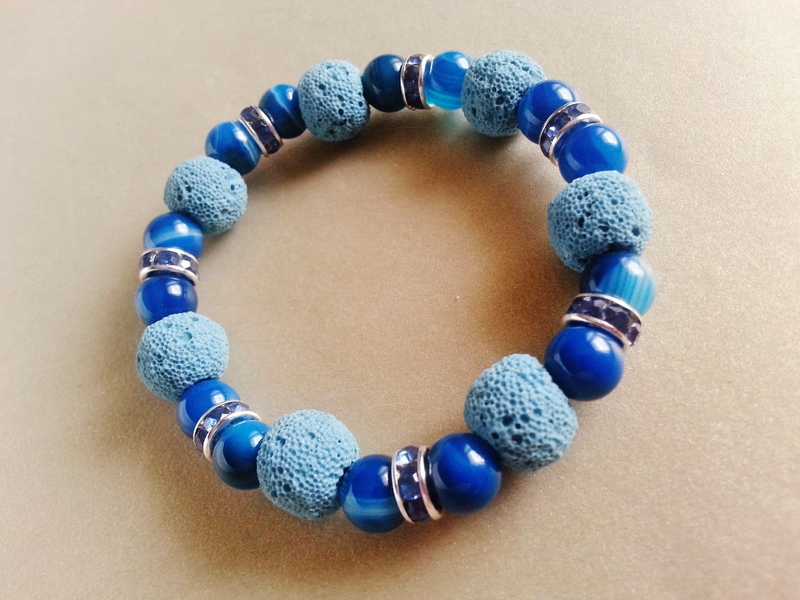 This bracelet is equipped with a button closure and an extra button-hole for extended fit. 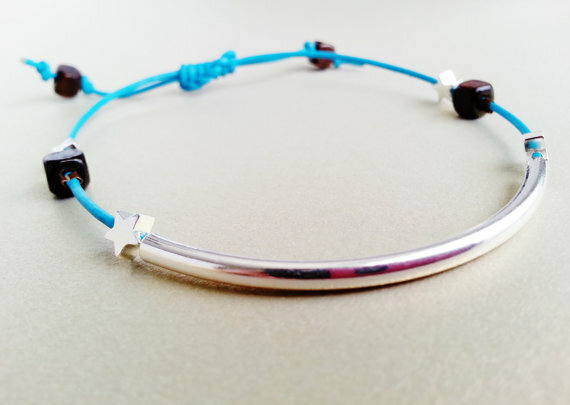 Tip to tip, it measures 10 inches. 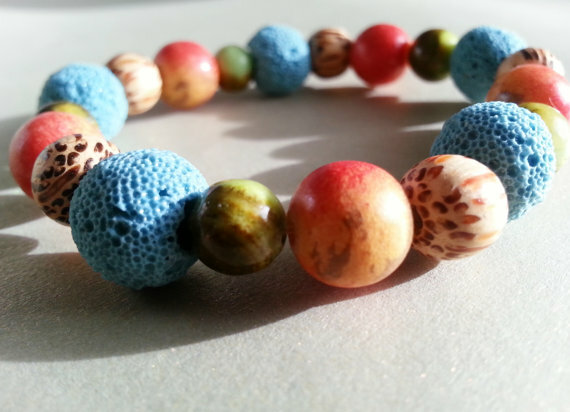 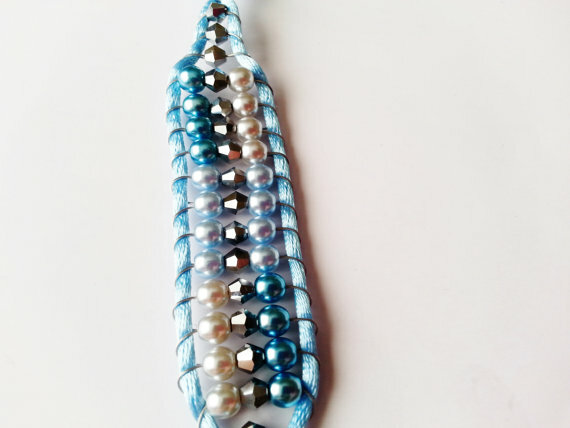 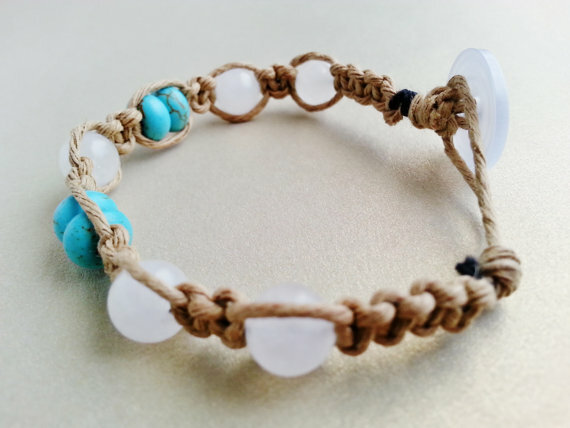 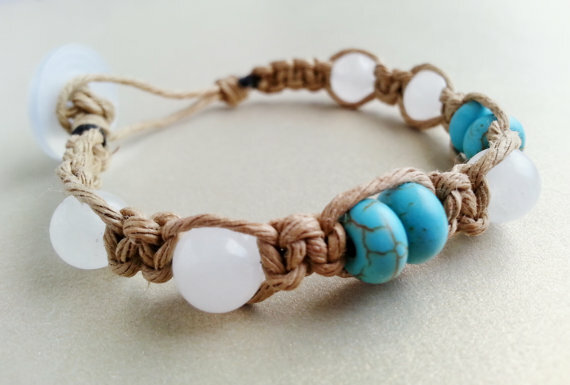 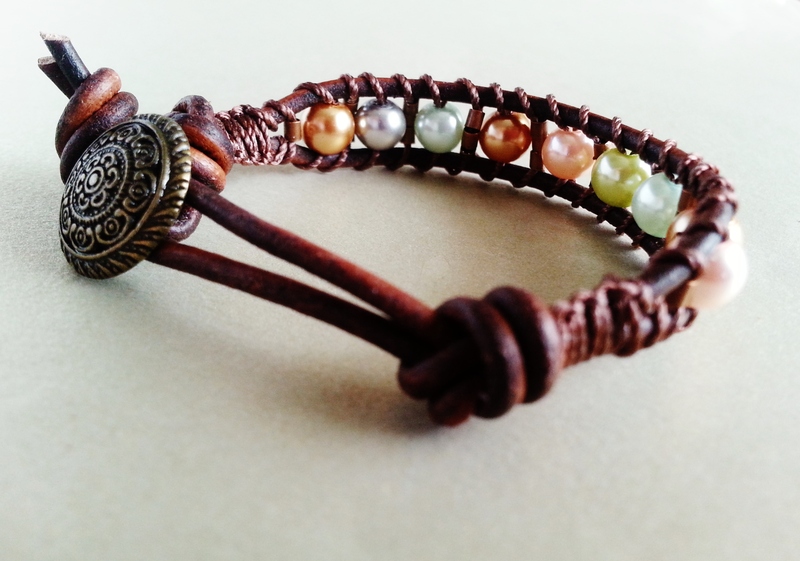 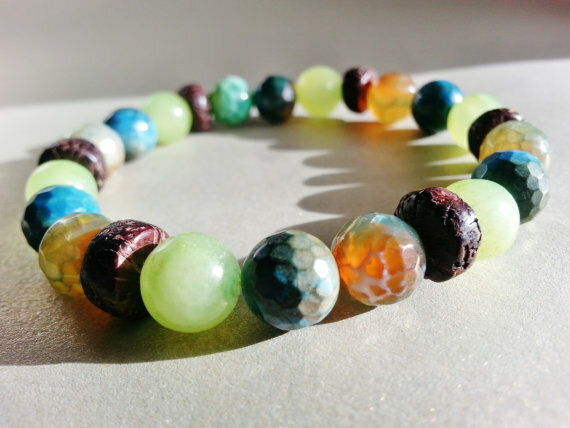 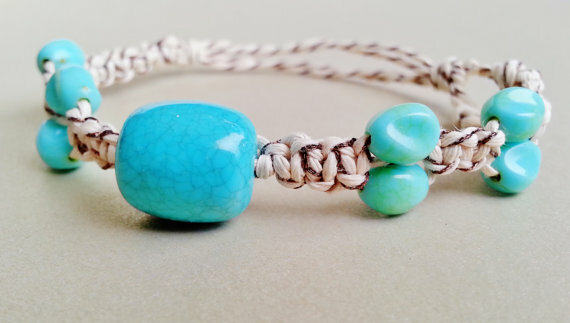 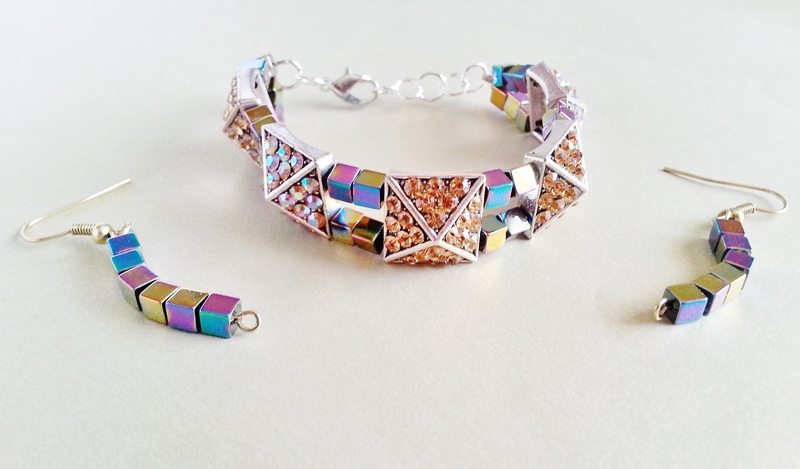 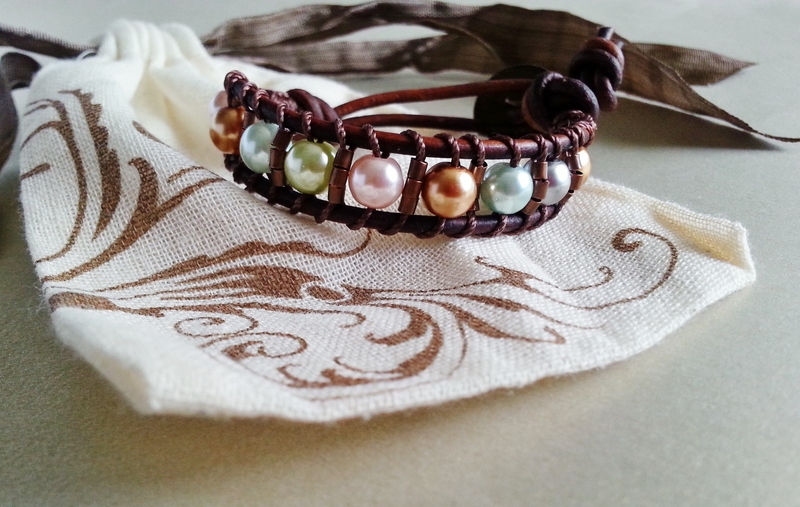 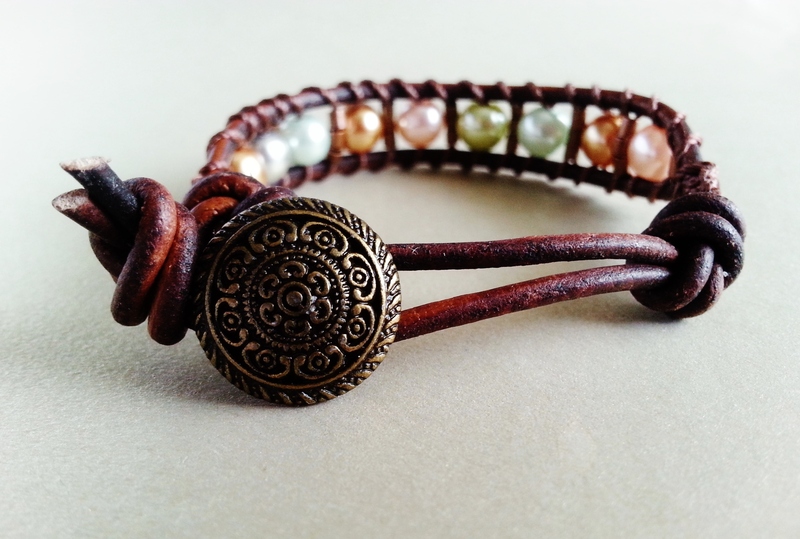 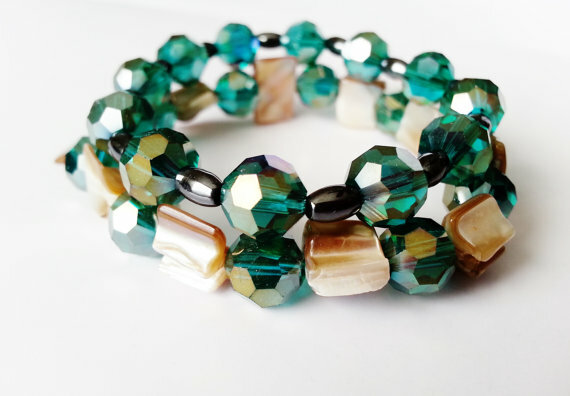 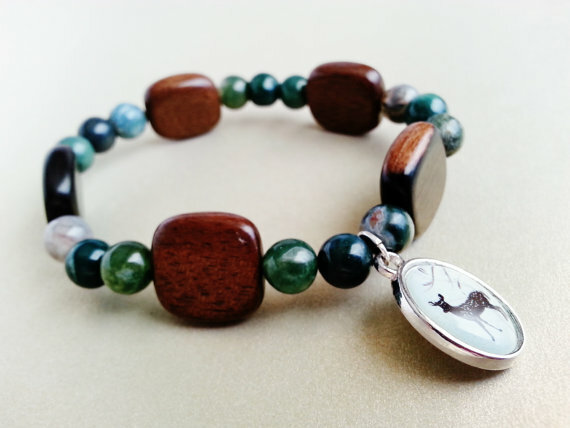 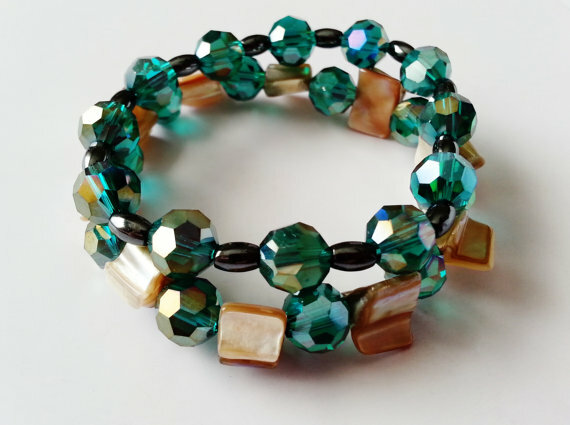 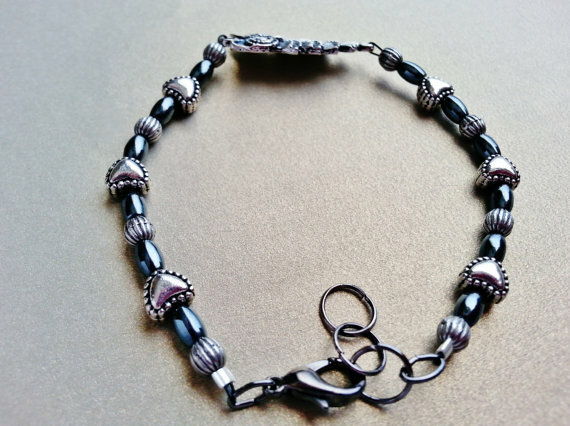 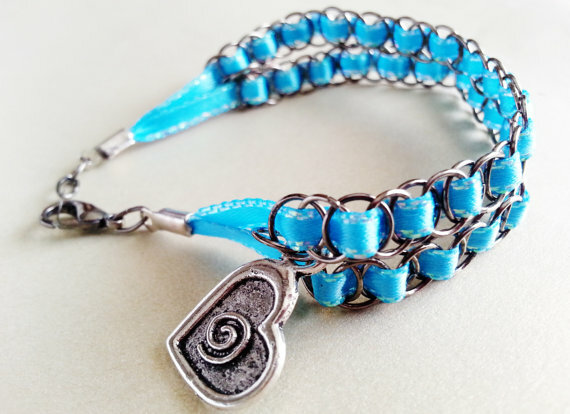 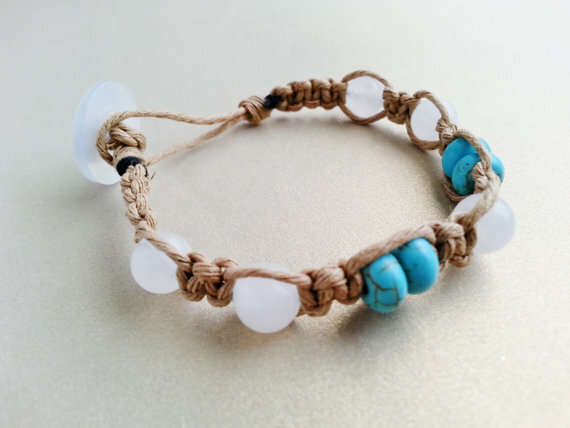 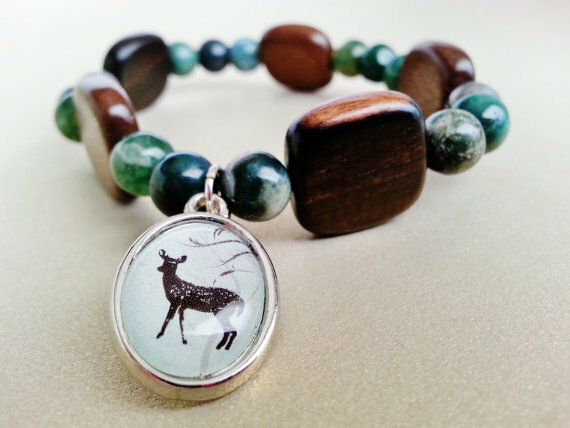 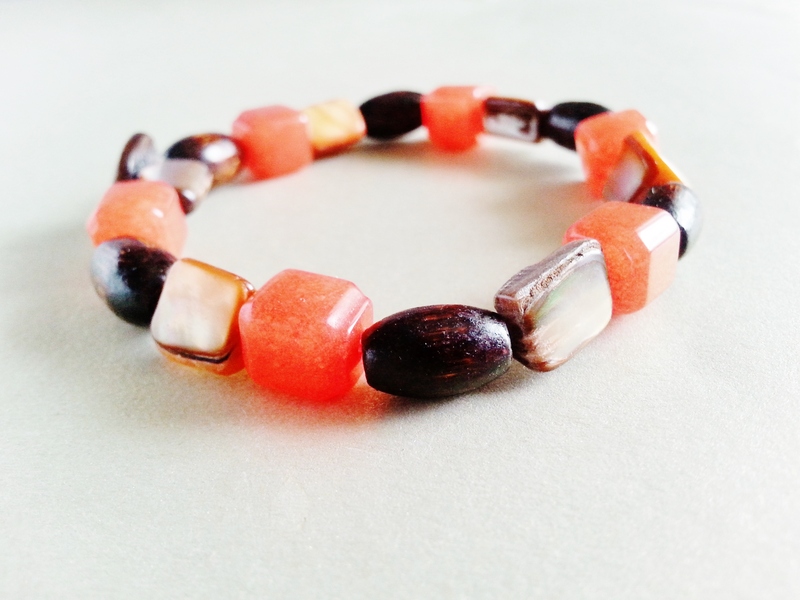 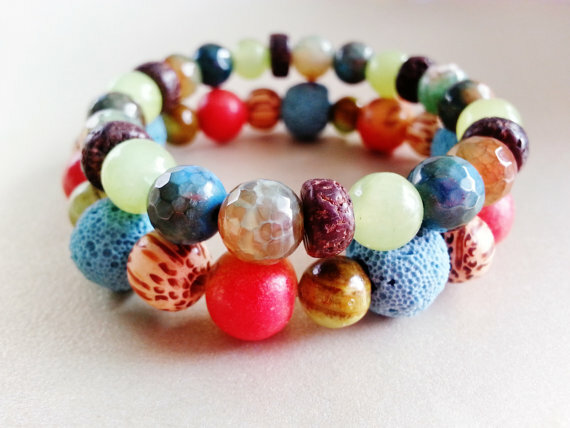 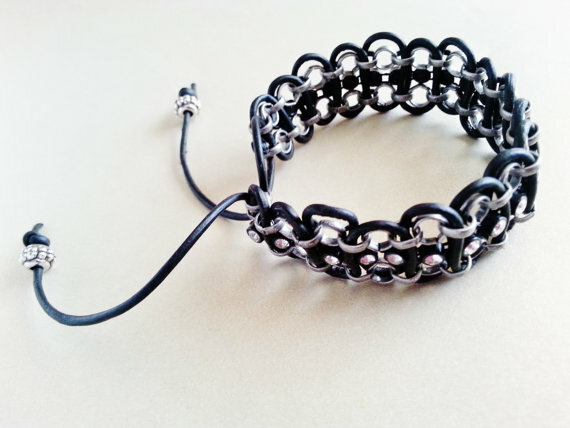 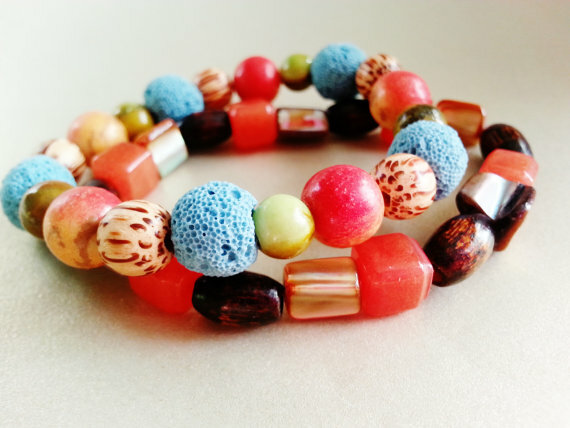 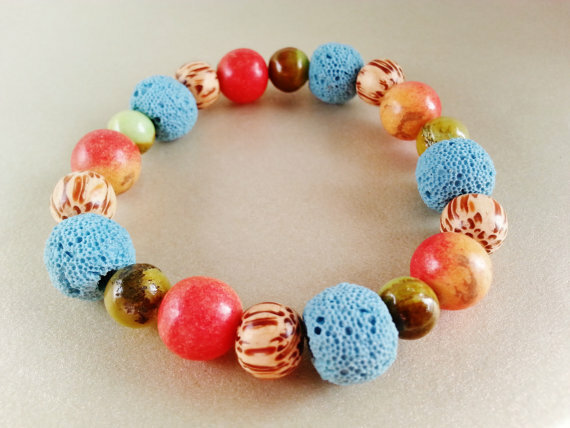 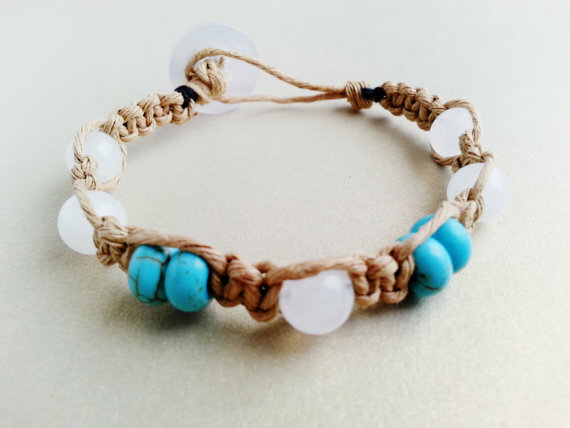 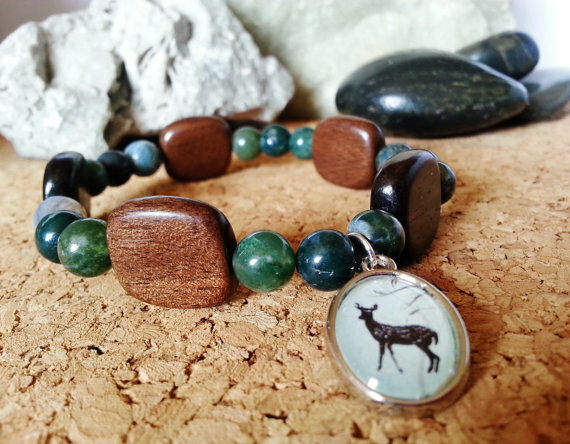 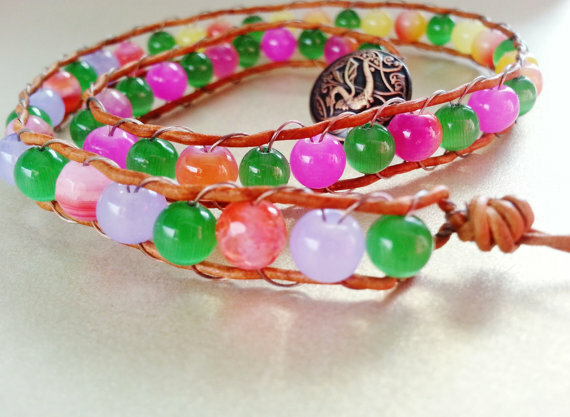 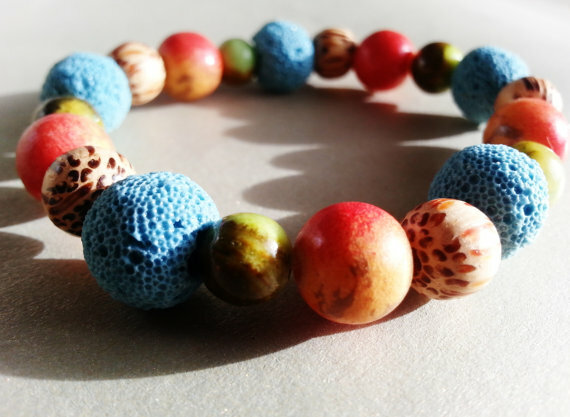 ♦When put in the second button-hole (very end hole), this bracelet can accommodate up to a 8 1/12″ wrist. 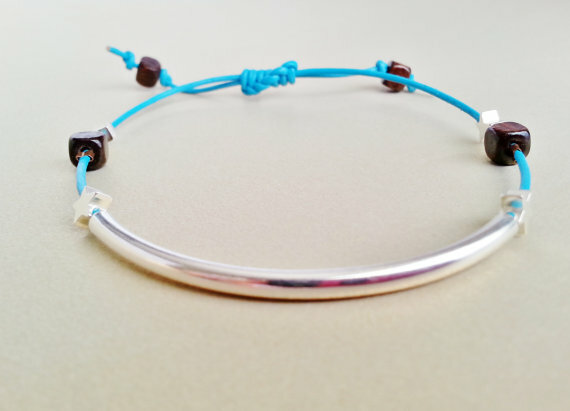 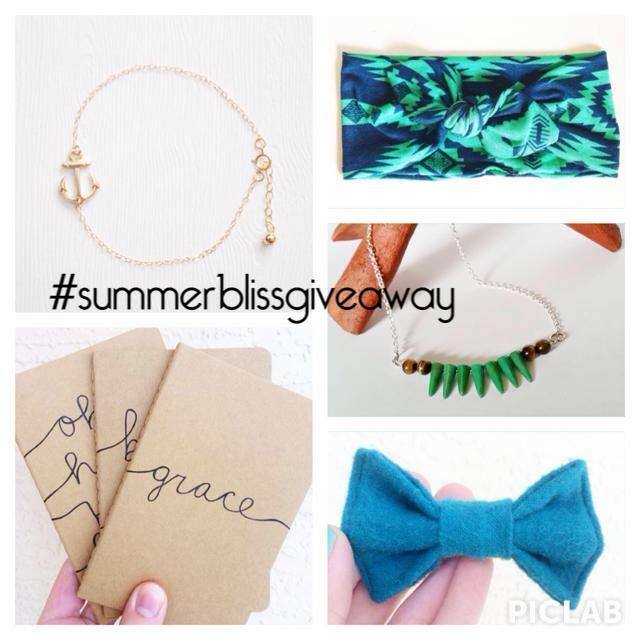 ♦Anything below a 6 1/2″ wrist will have a loose fit.